For all of the people, who hate coupons, I do have a few ideas for you! 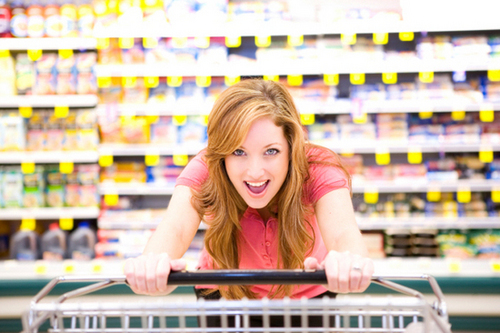 You can save money on your groceries without clipping a single coupon! An e-coupon is just a fancy word for an electronic coupon. Use e- coupons, which are retrieved via smartphone. Swipe your card at checkout and those coupons come right off your bill. I also like SavingStar which has a large database of e-Coupons. Your savings go into a fund that you can cash out in $5 increments. This is a great way to start a separate fund for Christmas shopping or for a special splurge. 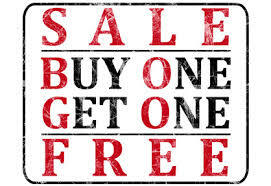 Most grocery stores run different buy one get one free deals on a weekly basis and odds are that a couple of those BOGO items occasionally show up on your grocery list. The BOGO sale items are typically pantry staples like breakfast cereal, peanut butter, pickles, tea, butter and water that you may buy on a weekly basis. The trick to saving a bundle is to NOT just pick up enough for this week, but to buy enough cereal when it’s half price to last say the next two months, or less depending on the item’s shelf life. Try to leave the kids at home when grocery shopping, unless they have become highly trained bargain shoppers with a vested interest in saving money. Take turns watching the kids with a friend so each of you can grocery shop, focus on saving money and get everything you need in one trip. The next time you go to the grocery, hang on to your receipt and circle the most expensive items. Then, consider lower-cost alternatives for those items to rack up real savings on future shopping trips. Name-brand items, which tend to be more expensive, usually are placed at eye-level. So when you’re shopping, look down (or up) for cheaper items, including generics. Yes, I’m loyal to a few brands. But for most items, especially canned goods, I’ll scan the bottom shelf to find them several cents to several dollars cheaper than their strategically placed name-brand equivalents.